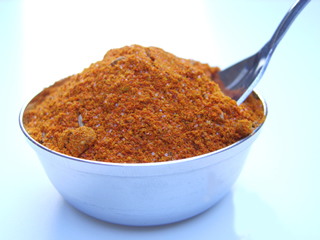 Qorma Masala as it's obvious from its name "QORMA" it is used in qorma either made off any meat chicken, mutton or even beef. The spice was first introduced by Mughal Royal Family during their reign at Subcontinent, after that it traveled through generation after generation and is still used at wedding events, people who like to have some royal taste. you are the luck one to experience the traditional royal flavor, and appraise yourself for that. Beside this, as I told before in my last post about Tandoori Spice Mix that many companies making these spices, and are readily available in market. Mirroring again, here is the recipe for those who really want to get real traditional taste, it can be used in Chicken Qorma, and if you are red meat lover then use it in Mutton Qorma and Beef Qorma for sure, usage quantity for differ from person to person according to there taste, average use is 1 peakTsp for 1 kg meat. Grind all ingredients in blender till it become powder.